Doug Purdon is a very talented artist. His paintings look like photographs. He is a landscape painter. In this book he demonstrates a lot of rock formations and scenes with water. He's very detailed in his explanations and even tells you what colors he mixed. One page in the book, he goes over all the things you should check for in your painting, which I will really use a lot. He paints incredible skies. You will definitely want to try alkyds after you see his water effects. Now, I just wish he had a video. Doug's last entry page says it all and you do not want him to end now you want to learn more. In Doug's writing he is trying to 'teach' the 'reader' to 'think' like an artist. Doug has not only explained the methods and materials easily but has gone beyond the basics. He has shared his 'insights' and 'knowledge' through his life learning journey as an Artist as though you were with him in person. Reading through the first 34 pages of his book with active mental imagery has been an inner eye epiphany that I have never gotten from any other; Art book or magazine, various selective workshops or art classes, color theory course studies, or even through my Associates degree program in Advertising Art and Design. I came to this Web Site to see if he has written any other books or recently, but this site shows none. I will certainly try and follow any future Artistic publications by "Douglas Purdon". This book is comprehensive and clarifying a blessing for any frustrated Artist who wants to design and create, and to know 'HOW' and 'WHY' and understand with simplicity. This book has changed my life. Before I studied this book I had little interest in painting again. My paintings had a problem with light. But now by understanding the color theories put forth in this practical and easy to understand book, I have started to have a whole new way of seeing and translating that into the painting. Mr. Purdon gives you the painting theory and practical advice in the first chapter. Then he takes you on a journey through twelve "follow-along" demonstrations of paintings to do. His step-by-step instructions are very detailed, well-written in a friendly manner, and well-illustrated, yet as you follow along, you can still feel that you are not just copying, but also beginning to understand and acquire new skills. The demonstrations become more complex as you progress through the book, and I am only half-way through it. Looking ahead, some of the paintings appear dauntingly complex. But already, I have painted things I never thought possible for me. 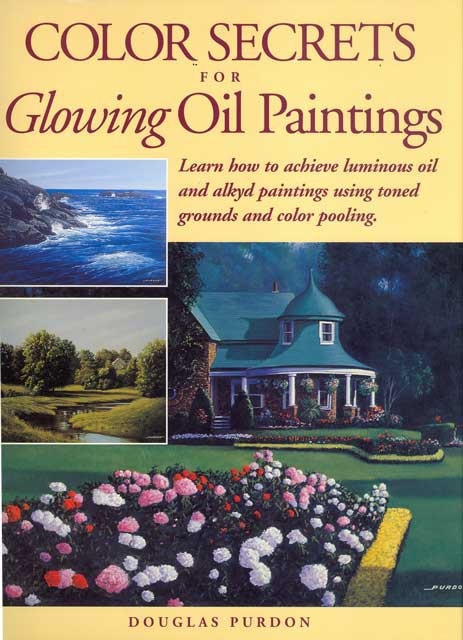 Whether you are a beginner or an experienced painter, there is much to be gained from this excellent book. It's a proven phenomenon: any oil painter, when face-to-face with a painting by Rembrandt, will slip deep into a sense of awe, lost in the luminous glow before them. Achieving such brilliance and depth of colour in your paintings may have seemed like an elusive and mysterious process --until now. 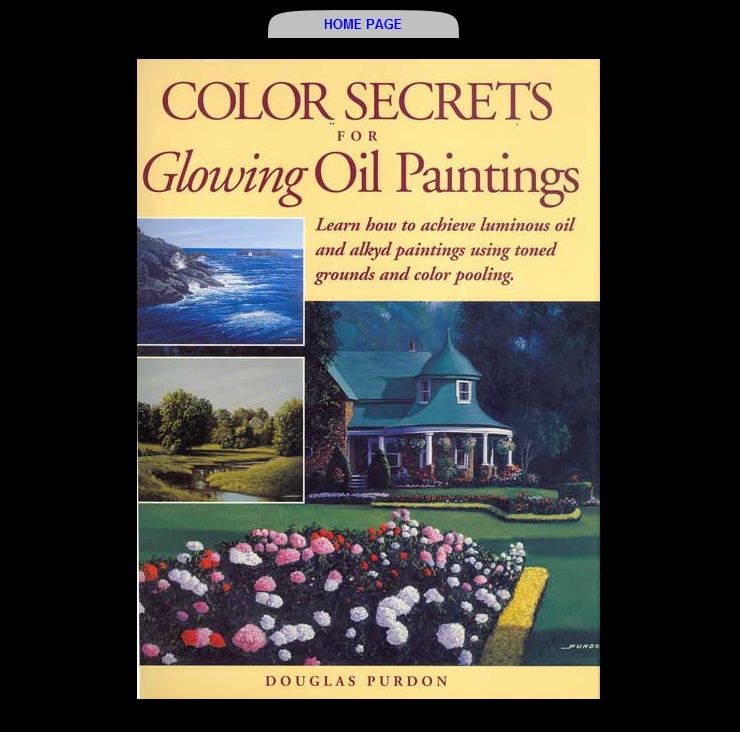 In this book, Doug Purdon reveals his simple, step-by-step approach to building glowing paintings. By combining traditional techniques with the modern day possibilities of alkyds, you'll learn how to capture the 'inner glow and light" so admired in the works of the Old Masters, Watch over Purdon's shoulder as he builds 12 paintings from original sketch to final touches. Use his easy to follow methods and you'll see a glowing difference in your work. Doug Purdon's approach will help beginners gain control of the painting process, and advanced artist reach new heights. We can only wonder what the Old Masters would have done with the materials we have today ---but with this book, you can see the possibilities come to life on your own canvas. And who knows--maybe one day people will stand before your paintings, lost in the glow.